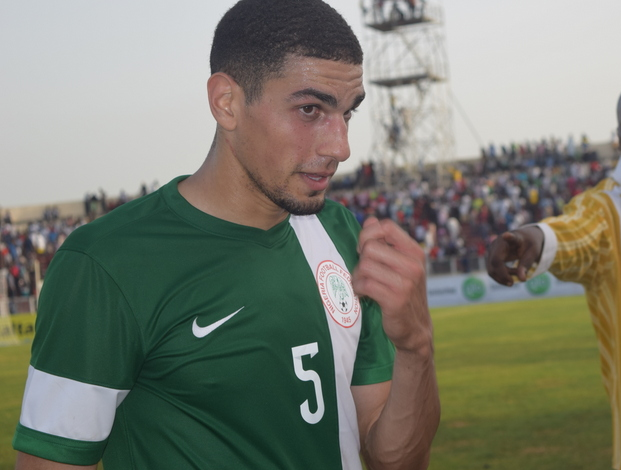 Super Eagles defender, Leon Balogun has charged the Nigeria Football Federation to begin early preparation for the 2018 FIFA World Cup qualifier. Balogun had a formidable defence partnership with William Troost-Ekong in Nigeria’s 1-0 victory over the Taifa Stars of Tanzania in a 2017 Africa Cup of Nations qualifier that was played on Saturday at the Akwa Ibom International Stadium. A sublime goal from Manchester City midfielder, Kelechi Iheanacho in the 77th minute was all the team needed to claim their first win in the group and first under newly appointed Super Eagles technical adviser, Genort Rohr. The Mainz defender revealed this via his twitter handle that the Super Eagles must plan ahead for the World Cup. “Great way to say farewell to #AFCON2017 & start our preparation for the WC qualifiers! Uyo, u’ve been amazing, thx for ur support 2nit, ’’ Balogun Twitted. Darijo Srna to join Barcelona?